The Alexander County Sheriff’s Office has released the name of the victim in a fatal shooting on Sunday. 23-year -old Blade McKinley Campbell of Taylorsville suffered multiple gunshot wounds and was dead on the scene of the shooting Sunday around 11:44am. The location was at a residence off Middle Road in Stony Point. According to Sheriff Chris Bowman there is no evidence that Campbell was armed. 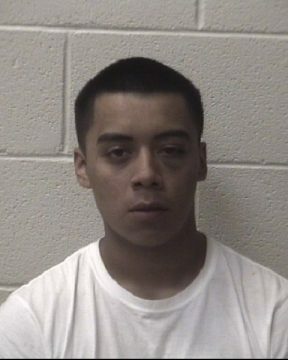 22-year-old Antonio Castillo has been charged with murder and is being held without bond in the Alexander County Detention Center. He will appear before a judge today in Taylorsville. The suspected weapon has not been located according to Sheriff Bowman. Castillio was arrested at a location off Jessica Lee Lane in Taylorsville. He was armed with a AR-15 rifle and numerous rounds of ammunition at the time of his arrest, around 4pm Sunday. The weapon on his person at the time of arrest is not thought to be the weapon used in the shooting incident. Sheriff Bowman has confirmed that a female and a child under the age of one were present at the time of the shooting. The Alexander County Sheriff’s Office is asking for the anyone with information on this investigation to contact them at 828-632-1111 or CRIMESTOPPERS of Alexander County at 828-632-8555.